When we enter into communion with one another in the life of the Church, we come broken, and far from the image and likeness that God intended when He created us. We, to a one, are in need of the healing that comes from a life in Christ. Yet we often hinder ourselves from healing because we fear being who we are. This fear is sometimes based on what others may think of us, or what may happen if we don’t fit in, or are not liked by others. We fear being rejected for essentially being ourselves. To be a Christian is not about conformity to the image of other people, but rather, to the image of Christ. You needn’t shelve who you are, but take on the image of who Christ is. Love the picture! I am a long-time fan of Charlie Brown, Lucy and the gang! 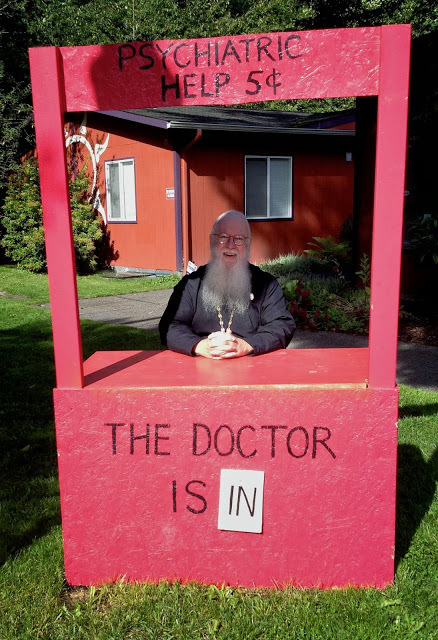 who said priests don’t have a sense of humor? but adjusted for inflation, was is the current feel ? Thank you Father. Just exactly what I needed to here today. God’s blessing be upon you and all there at All-Merciful Saviour. I have so enjoyed your YouTube videos and this is the first blog I have received from you. I am new to Orthodoxy. Do you have any suggested reading material regarding repentance and confession? I would appreciate your help. Thank you for your consideration!